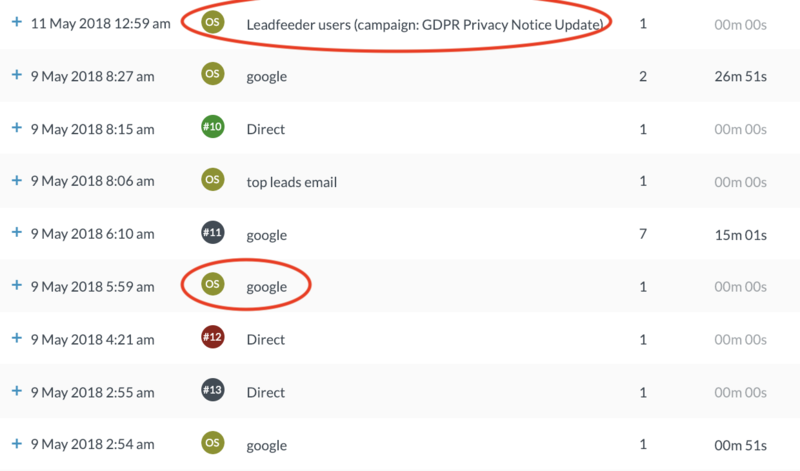 Leadfeeder Booster is a complimentary tracking script for Google Analytics. Leadfeeder updated data more frequently. Currently, Leadfeeder replenishes your account with new leads twice a day. By enabling Leadfeeder booster your data will now be updated twelve times a day. Gain insight on how many different people from a company are visiting your website. Each visitor’s unique identification code will be tied back to your leads visit data in Leadfeeder. Track individual visit data through the Mailchimp campaign. Once we’ve identified an individual clicking through to your website from a Mailchimp campaign, you'll be able to track that individual’s website behaviour from the past and in the future. Get leads loaded faster into your Leadfeeder. For accounts with a high website traffic volume (e.g. over 100,000 visits per day), you’ll see a noticeable increase in how often you see new leads loaded into your Leadfeeder.